Kevin Jonas finds his wife, Danielle, sexier than ever while she's pregnant, despite her protestations about the size of her stomach. Kevin Jonas finds his wife sexier than ever while she's pregnant. 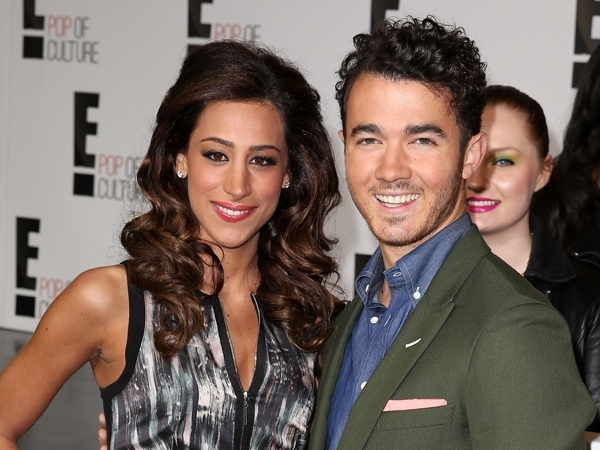 The former Jonas Brothers star's wife, Danielle, is heavily pregnant with their first daughter - who is due any day now - and although she has said she "hated" her growing stomach, Kevin assures her he finds it very attractive. He said, "I absolutely find her sexier than ever. I tell her all the time. She wears pregnancy well, she's stunning." In fact the singer says the bond between them is only growing stronger the longer they spend with each other. He added to Life and Style magazine, "We're more in love now than on our wedding day. I look at her with even more respect and love. I didn't know that was possible." The couple have already picked out a name for their tot, but are keeping it under wraps until the birth. Danielle told Us Weekly magazine, "The middle name has a lot of meaning, but her first name is ... different enough but not totally out there. It's cute."